It is amazing how popular babywearing has become today and rightfully so. It keeps everyone happy - baby, mom, siblings. The convenience of having your hands free and your baby content makes the daily tasks of mothering much more manageable. 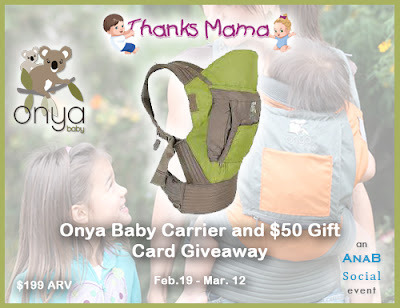 We are excited to have partnered with Thanks Mama to give away the Onya Baby Carrier to one reader so that you and your little one can savor the joy and convenience of babywearing as well! 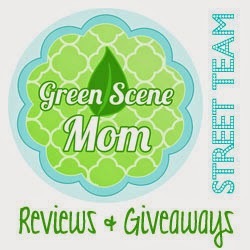 In addition you will get $50 to spend on anything you please - cloth diapers, potty training pants, wooden toys, bedding, baby care items, or nursing essentials, to name a few.